Photo 84 of 195 - U14 Boys A team Oct 2014. L to R: Back row: Michael, Tom B., Tom M., Jonathan, Alex, Will (umpire), Middle: George, Ben (Capt. ), James H., Paddy, Summer, Guy, Front: Tom W., Hugo, Connor, Chris (GK), Lying down: Sean. 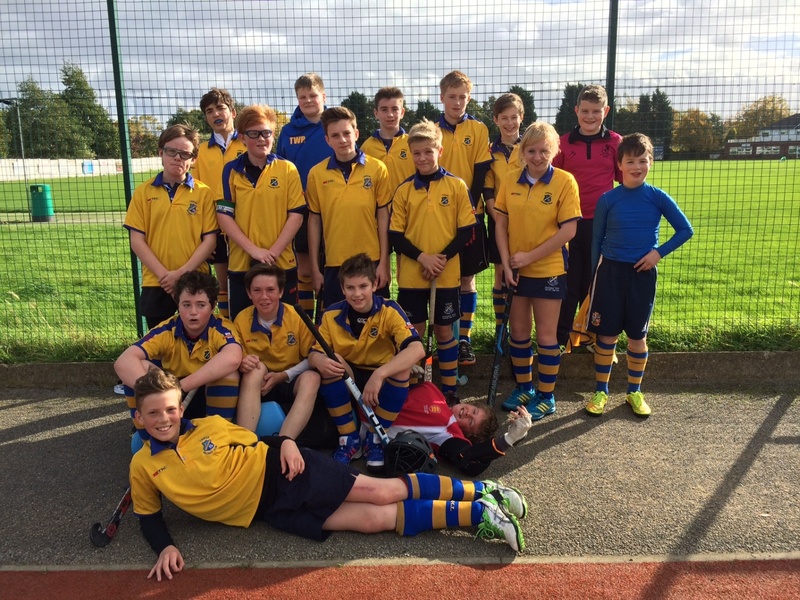 U14 Boys A team Oct 2014. L to R: Back row: Michael, Tom B., Tom M., Jonathan, Alex, Will (umpire), Middle: George, Ben (Capt. ), James H., Paddy, Summer, Guy, Front: Tom W., Hugo, Connor, Chris (GK), Lying down: Sean.